Bars, Restaurants, Fitness Centers and Retail Stores with multiple TVs have long had an expensive or time consuming problem in changing the channel on their TVs. 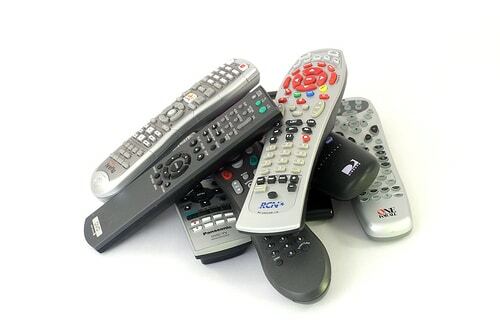 Either you had to purchase an expensive control system from vendors such as Crestron or Extron, or your staff had to dig through piles of remotes to get the right one when guests asked them to change a channel on each TV. While a control system from Crestron could easily run into the tens of thousands of dollars, even more expensive in the long run was the time it took to learn the new system or dig through the remotes to find the right one for establishments with multiple TVs but no control system. DIRECTV has solved both of those problems for its bar, restaurant and other commercial customers with an easy to use, convenient app that can be run from a single device. Bars, Restaurants. 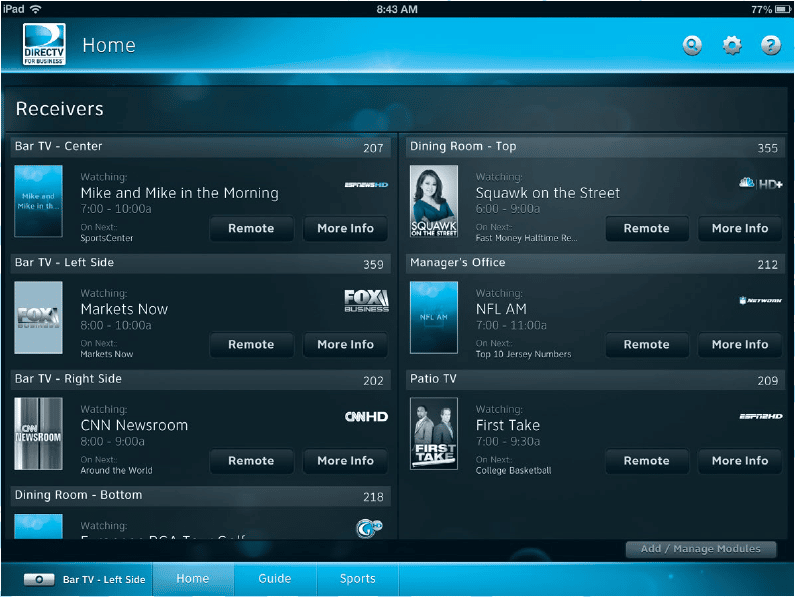 Fitness Centers and other commercial DIRECTV customers with multiple TVs have something to be excited about now, the new DIRECTV iPad app! It is the ultimate video management tool for DIRECTV Commercial customers. The new DIRECTV Commercial iPad is available for all Public Viewing, Business Viewing and Private Viewing accounts.